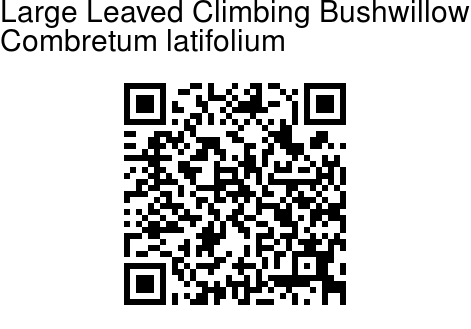 Large Leaved Climbing Bushwillow is a large climber, growing up to 30 m tall. Branchlets are usually hairless, scaly. Oppositely arranged leaves are carried on 1-2.5 cm long stalks. Leaf blade is broadly elliptic or ovate-elliptic, 7-20 × 5-10 cm, both surfaces hairless. Leaf base is obtuse-rounded, tip blunt or flat, lateral veins in 6-8 pairs. 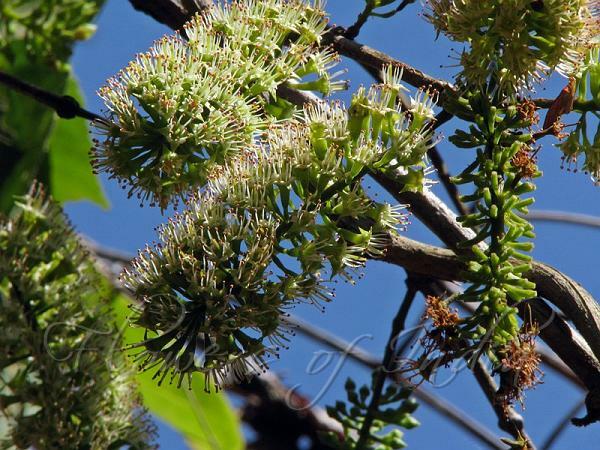 Flowers are borne in compound, broadly cylindric, densely flowered spikes 6-10 cm, in leaf axils. The spikes are sometimes grouped at the tip of branchlets, forming a panicle. Flowers are very fragrant. Sepal tube in middle part is funnel-shaped or narrowly so, opening into 4 flat triangular sepals. Petals are 4, greenish white to yellowish green or yellow, 1-1.5 mm, clawed. Stamens are 8, protruding, 5-7 mm. Fruit is yellowish to brownish, glossy, obovoid, 4-winged, 2.5-4.5 × 2.2-4 cm, sparsely minutely velvety when young, smooth when mature, not scaly. Flowering: January-April. Identification credit: Shrikant Ingalhalikar Photographed in Maharashtra.